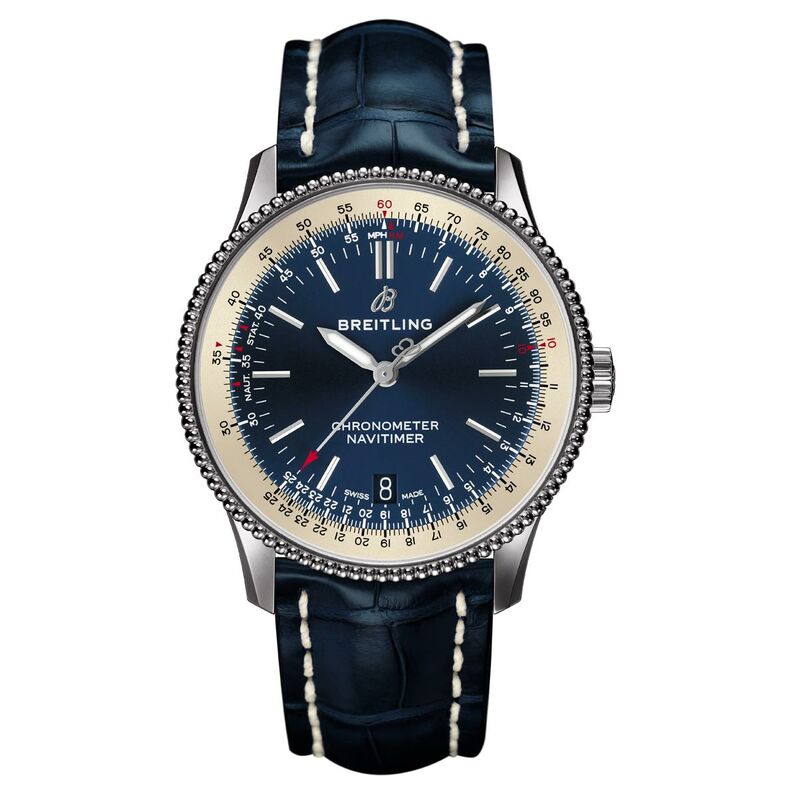 For most watch enthusiasts, the name Navitimer is instantly associated to large-sized chronographs but in the 1950s Breitling also had a three-hand model in the Navitimer collection, the Reference 66. 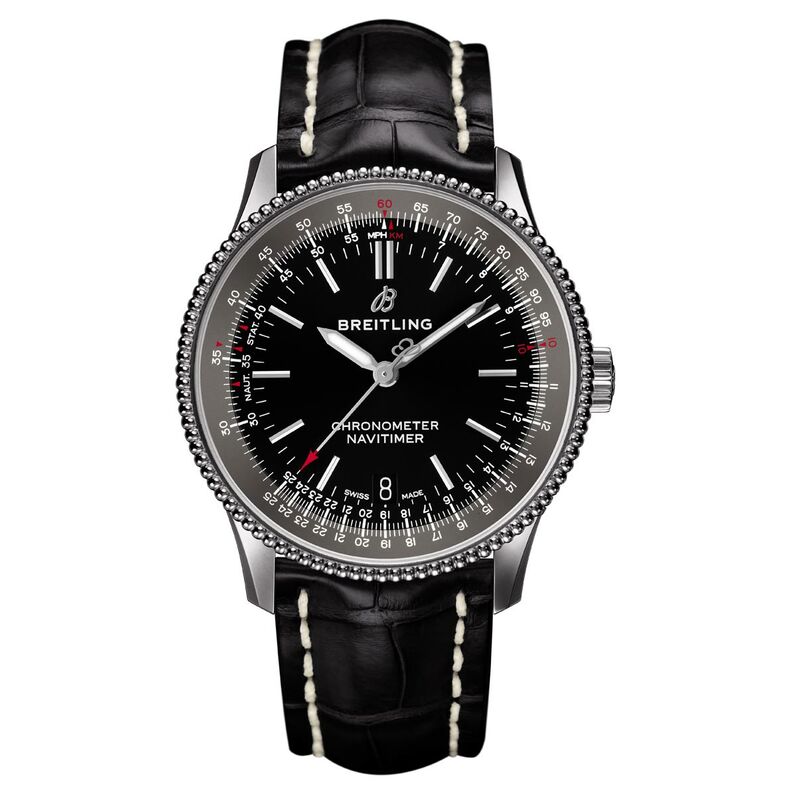 With the new Navitimer 1 Automatic 38, unveiled on occasion of Baselworld 2018, Breitling expands the Navitimer collection in line with that past. 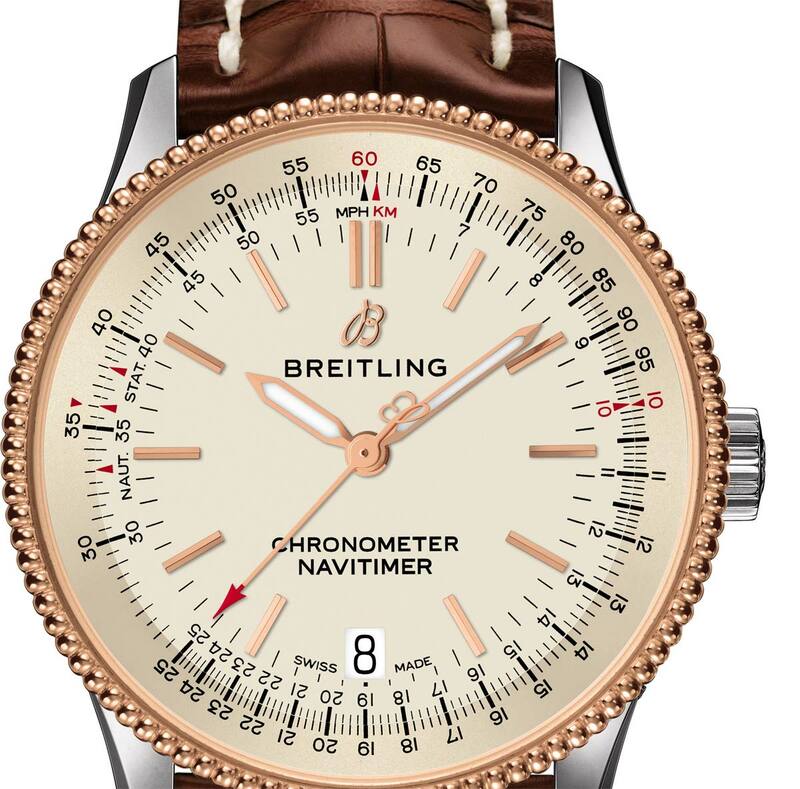 With a 38 millimeter case, the new model is properly sized both for men who prefer smaller watches and for women who like the sporty look of the Navitimer. 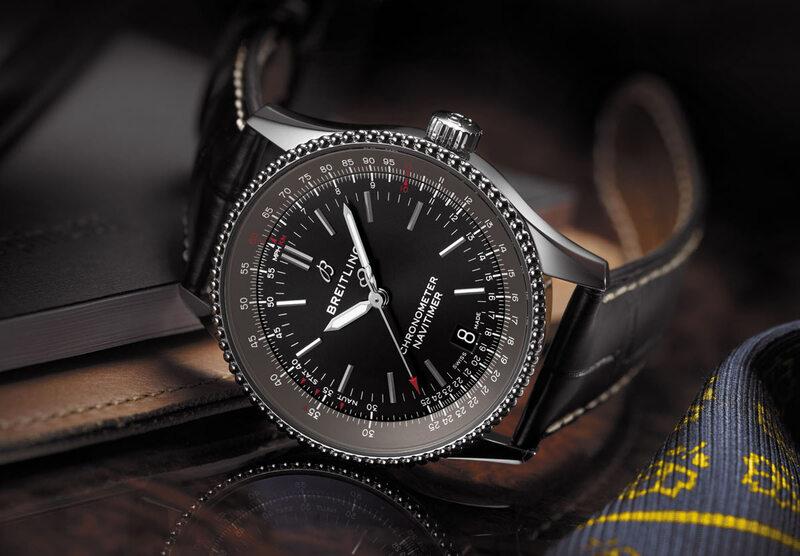 The stainless case of the Navitimer 1 Automatic 38 features a newly designed beaded and ratcheted bidirectional bezel with the signature aviation slide rule, a screwed caseback and comes with either a black or blue dial and matching alligator leather straps. Water resistance is limited to 30 metres / 100 feet. The dial has a date window at 6 o’clock, with a matching date disc and a red-tipped second hand which, together with Super-LumiNova luminescent hour and minute hands, contributes to the excellent readability. 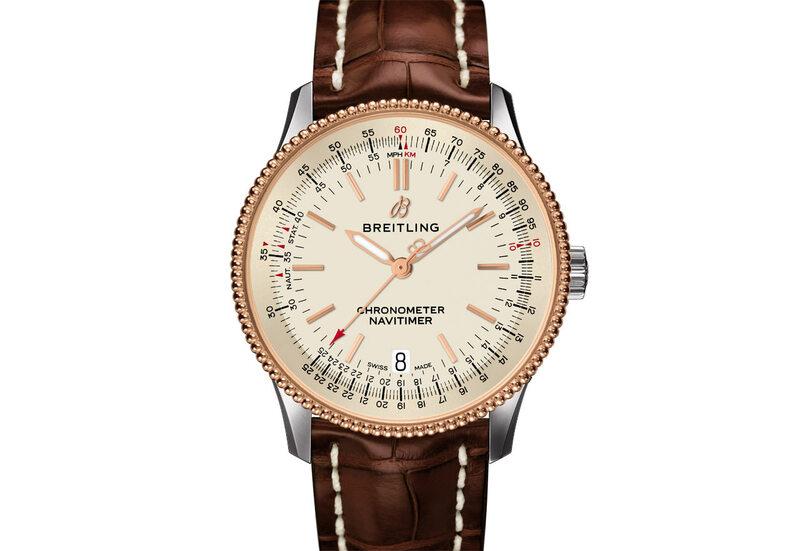 A stainless-steel version with a red gold bezel, a silver dial and a brown alligator leather strap is also available. The new watches are powered by the 4 Hz (28,800 vph) Breitling Calibre 17 based on the ETA 2824-2. Equipped with a dual-acting ball-bearing rotor, it offers at least 40 hours of power reserve and is COSC-certified.